Make your body shape work for you and not against you with these science-backed style tips. By Dean Stephens On Oct 3, 2018 We may get a commission for purchases made via our links. Here's why. You’re browsing your favorite site (ahem) and something catches your eye. The material of the jacket and the way it hugs the model’s body calls out to you. Oh, this isn’t about wanting it. And without hesitation, you drop your hard-earned dough. You try it at home in the mirror. You wear it outside in the sun, and you show it off at dinner under the dim lights. It doesn’t flatter you. In fact, it does the opposite. You feel alien from the world around you. And you don’t feel anywhere near as confident as you thought you would. So you toss the jacket aside, and never wear it again. Were you tricked into a bad buy? No, the jacket didn’t work with your body type. Yep, we’re all built differently. 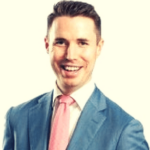 You’ve probably heard of the infamous inverted triangle, but experts believe there are five body types prominent in men. 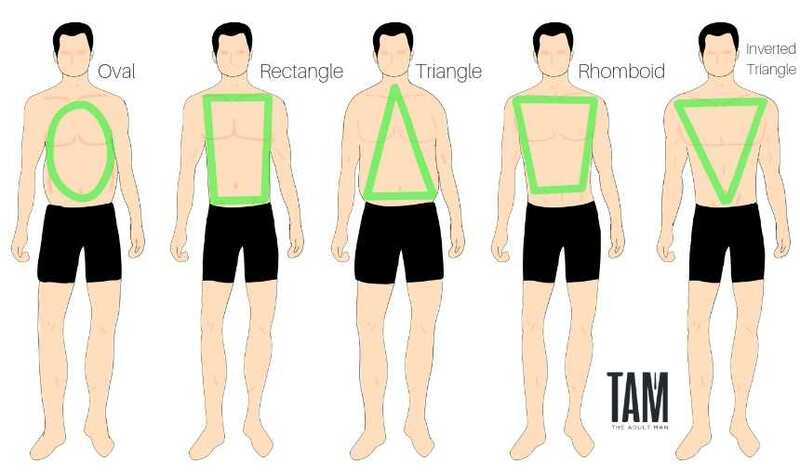 As a man, your body shape is either oval, rectangle, triangle, rhomboid, or inverted triangle. And as you’ll find out, similar to how you should pick the right hairstyle for your face shape, your body shape should dictate how you dress. It should also take priority over fashion trends. In this article, we’ll first show you how to figure out your own body type and shape. You’ll then learn the style tips that will highlight the best features of your build and mask those that are less desirable. First, let’s figure out your body shape. To do this, simply estimate the proportions between your shoulders, chest, and waist. And then use the diagram above for guidance. For example, if your shoulders are wider than your chest, which is wider than your waist, then you’re an inverted triangle. If they all align, then you’re a rectangle. The main caveat to this is that you need to be honest in your measurements. If you need to, have a friend give you their impartial opinion. Things can get a little bit more complicated if you’re bulking up or slimming down. In these cases, you should always put off the ideal and dress as you are. Enforce the style changes once you’ve settled on your new body shape. It’s fine to update your clothes once you’ve completed your transformation. But unless money is no object to you, hold off on the wardrobe overhaul until you’ve settled on your new body shape. Be honest with yourself though. Has your transformation been on the cards for years, but you’ve done nothing about it? If so, it’s time to stop delaying and start taking action on looking your best for your current shape. 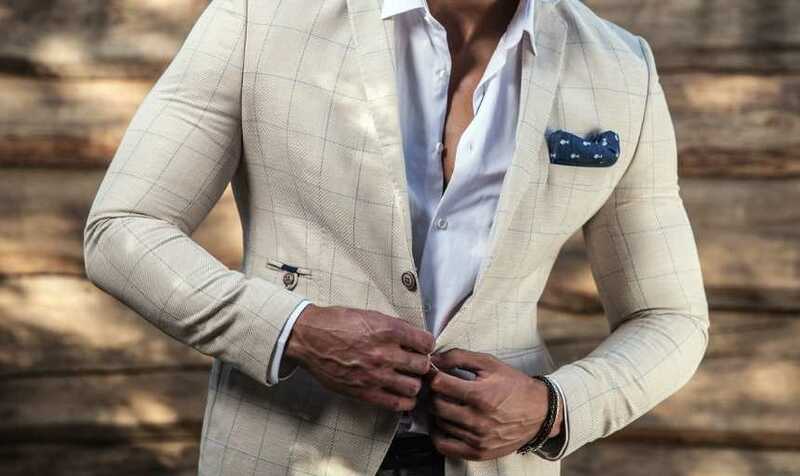 This section focuses on the different male body types and some general rules for each to give you an idea of what to look for when buying new garb. Oval shaped men have slimmer shoulders and chests, wider waists, and slim hips. Making the shape of, you guessed it, an oval. You’ll want your clothing to narrow the bulkiest part of your torso and slim you down. This means horizontal stripes are out. Checkered patterns and vertical lines are both fine, though. For colors, use the traditional “slimming” dark hues. They don’t have to be black. As long as it’s subtle, it’ll be fine. Since oval waists tend to dominate the body horizontally, the goal is to create vertical lines to balance everything out. This means long-sleeved shirts and properly sized pants are particularly handy since they make your limbs seem longer. With shoulders in perfect alignment down the waist and hips, the rectangle body shape’s main point of emphasis is on the shoulders. Thankfully for you, there aren’t any special color considerations to keep in mind. Really, the only rule is that you need to avoid looking like a billboard or a plank of wood. For this, avoid hard vertical stripes. Vertical lines run parallel to your body shape and reinforce a straight image. Triangle shaped men have narrow shoulders, a slightly wider chest, and a waist that’s wider than both. This gives the appearance of being “bottom-heavy,”. So you guessed it, the goal is to stylistically bulk up your upper-half. Similar to oval-shaped men, stick to dark colors, and avoid horizontal lines. Rhomboids are blessed with broad shoulders, a wide chest, and a narrow waist. A lot of men confuse the rhomboid for the rectangle since the differences are slight. This is where a good tape measure and a second pair of eyes can help you out if you’re unsure. The rhomboid is considered to be one of the best body shapes for a man. And you’re lucky because there are no hard and fast rules for you to follow. The rhomboid body shape works well for almost any well fitting style. Your only limitation is your bravery. Our final stop on the body type tour is the inverted triangle. This shape is super top-heavy. For an exaggerated version, think Arnold in his prime. This can make dressing for the shape rather complicated since clothes that fit the shoulders tend to sag everywhere else. To fix this, use anything at your disposal to draw attention south. Colorful belts and stripes are both good options since they pull eyes away from your shoulders. V-necks and polos are solid choices for you as well. The former draw the eye toward the middle of your chest, and the latter makes your shoulders look smaller, giving the impression of balance. Fit is the most important factor in dressing well. And this is the case regardless of your body shape. So, how do you guarantee the perfect fit? You take your clothing to a tailor. Because unless you have an ‘off-the-rack’ body type, most pieces of clothing are not going to fit you properly until you get them tailored. Think about it. Millions of men around the world are out shopping for clothing on any given day. They’re one of the five body types we discussed and could be anywhere from 5’5 to 6’9 with a weight difference of 200 or more pounds. How is your run-of-the-mill button-up shirt in a “medium” size supposed to account for all these variables? They can’t. The neck might be too tight, the sleeves too long, and the shoulders too narrow. It might feel like it fits, but it won’t look good. This is where your tailor comes in. Find a great tailor, build a relationship, and slowly but surely, get your entire wardrobe tailored to fit you perfectly. Proper fitting clothes accentuate your good features and allow your body to work for you rather than against you. Is it cheap to get your entire wardrobe tailored? No, but even a few essential tailored clothing pieces will take you a lot further than a wardrobe full of ill-fitting, cheap clothing.